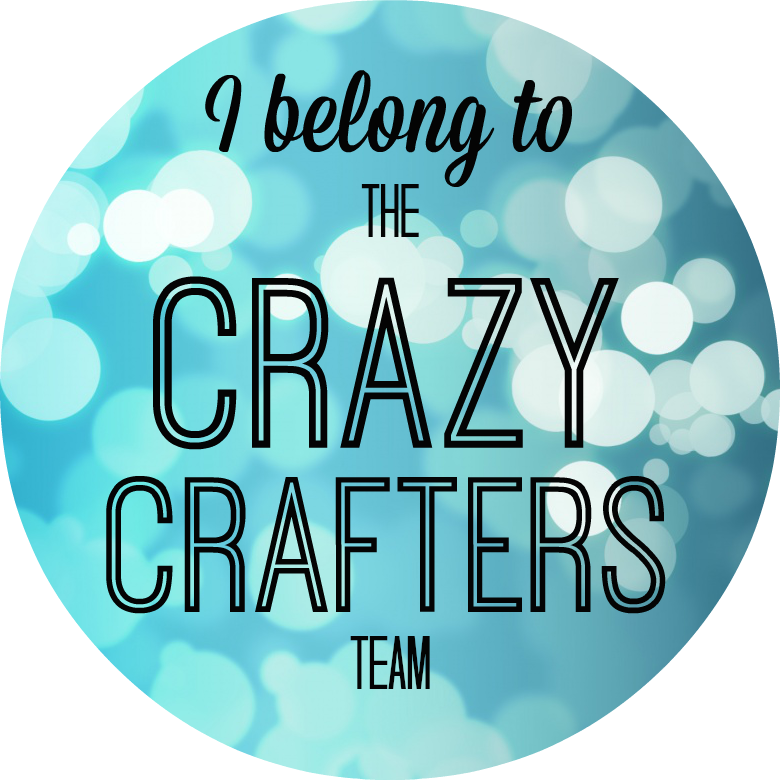 Welcome to part 1 of our Spring/Summer Farewell 2016 Blog Hop! 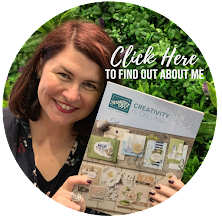 You’ll be hopping around to 6 countries and will visit 11 amazing Stampin’ Up!® Independent Demonstrators, each with an inspirational project for you to enjoy. The retired list is out now so we’re saying ‘farewell’ to some amazing products, only around while supplies last or until 31st May 2016. 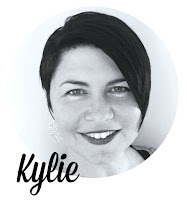 Currently you’re visiting Kylie Bertucci from Melbourne, Australia. So lovely to have you visit my blog. If it is your first time, Welcome - hopefully I see you come by again. You can continue hopping my using the list of names at the end of this post. 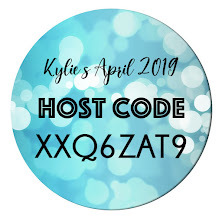 Want to see the card I made? 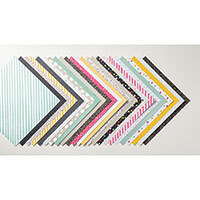 In my card I chopped up my It's my Party Designer series Paper - and I am so glad that I did! The designer series paper is the hero of this card. I have adored this paper and wish it was around for a whole year not just six months. Can you see the strip of washi that I used on the front and inside of the card? Have you had a play with washi yet? This stuff is like the best thing ever invented! It is so easy to line up - if its not in the right place you can remove it! you tear it and I just tuck it under my cardstock - because it is tape it is thin and not bulky like ribbon. 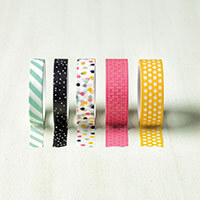 If you haven't tried washi - do yourself a favour and get a pack or two or the whole collection.... You will be addicted! 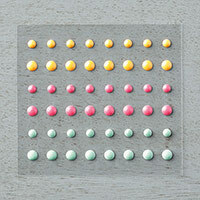 I also used the It's my party enamel dots on this card as well. 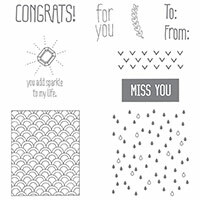 The sentiment is from the retiring stamp set Sparkle & Shine. 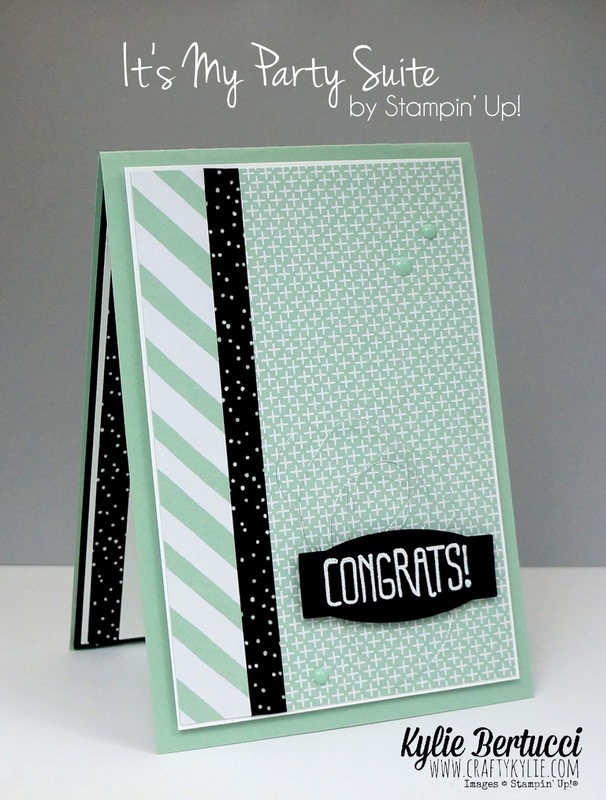 I will be highlighting this stamp set in our next blog hop - you want to get this set before it retires. 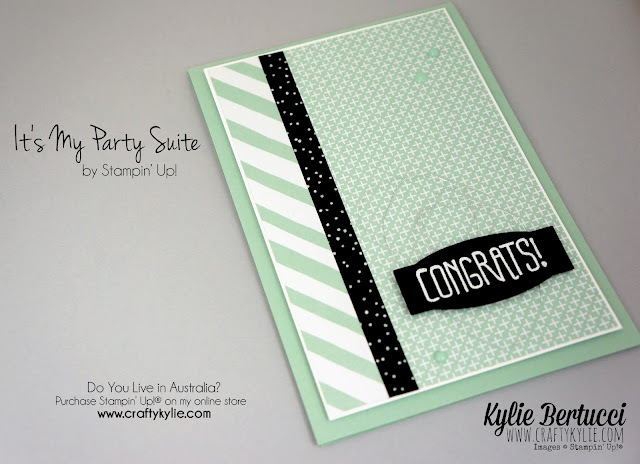 If you live in Australia I have a link for you to purchase this stamp set and It's my Party Suite below. Thank you for visiting me today. I’d love to see you back here again next Friday 13th May for Part 2 of our Spring/Summer Farewell 2016. The next stop on the farewell hop is the super talented Constanze Wirtz. There’s lots of inspiration to be found in this group – and you don’t want to miss it!